Contract Services Introduction • Deburring • Flat Lapping with Loose Abrasives • Flat Honing with Super Abrasive Wheels • Cylindrical Polishing and Lapping • Process Development • Metrology • WE ARE MOVING! More to come as we remodel our new facility! 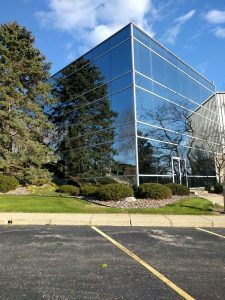 Stahli USA is excited to announce that starting January 1st, 2019, we will have a new location in Lake Geneva, WI. As we prepare for our expansion, we want to ensure you that our operations of service will still be in full force. As always, your challenge is our specialty!